The vehicle follows the conventional western tank design of the mid Cold War with four crew members and a 105 mm gun. It has good armour on the UFP that can bounce some weaker shells but the sides, rear and top are very weak, making the vehicle highly vulnerable to air attacks and SPAA fire even from a distance. It has good acceleration, mobility, and firepower. 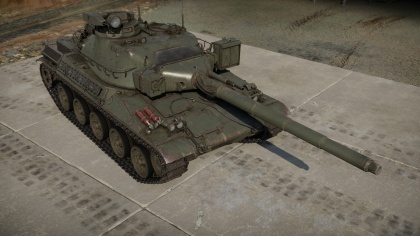 Its turret resembles that of the T-54 series from the sides due to its rounded shape, so be careful in SB and check twice before firing at this tank because you may kill your ally if you do not pay enough attention... This can prove both to be an up and a downside depending on who's actually making the mistake. Note : It's interesting to note that the AMX 30B2 is currently the only tank that can penetrate the IS-7 on it's whole frontal profile reliably and thus even at long ranges. 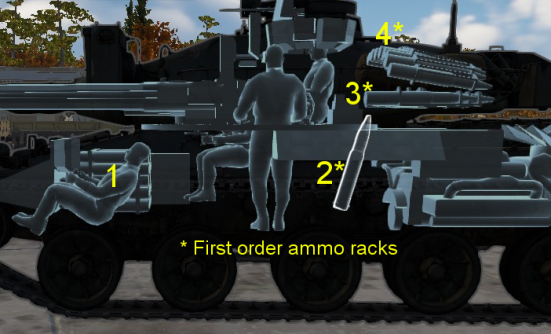 This tank is, above everything, a sniper tank. The lack of a stabilizer will restrict your playstyle on most city or clustered maps. 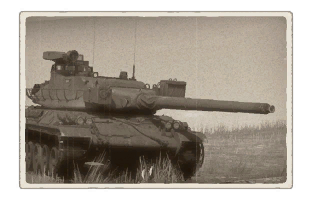 In these kinds of environment, you will have to play much more slowly and carefully than the other tanks because most tanks amongst other nations come with a stabilizer such as the Cheiftain, the T-62 or the T-10M. Just advance slowly and try to be as much aware of your surroundings as you can be because this will prove to be a real life saver in this kind of environment. You can also simply lay ambushes to your enemy by patiently waiting for someone to come in front of your gun, kill this enemy and quickly relocate using the tank's good mobility. No stabilizers, which restricts the playstyle of the vehicle.